Bring your friends, it’s a BLOCK PARTY! Co-ed, schoolyard-style scrimmage for derby skaters, 18+, cleared to scrimmage with their home league. Must have current WFTDA insurance. Rollergirls are filling in as referees, and the “Don’t be a D-Bag” rule is in full effect. Time: 7:00 pm – 10:00 p.m.
Sundays from 10am-12pm please come join ARG for our weekly open scrimmage. ARG members, ARG retirees, Gold-Level Reckers, and neighboring league skaters are welcome to a morning filled with hits and wins! All skaters must have active WFTDA insurance and proper equipment. 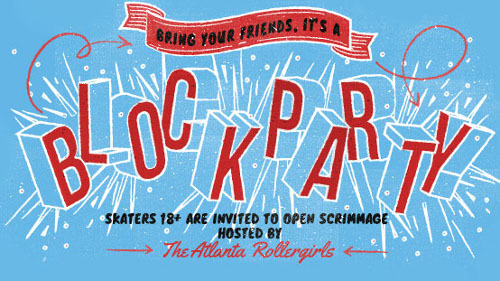 SOS is open to female identifying skaters at the time. 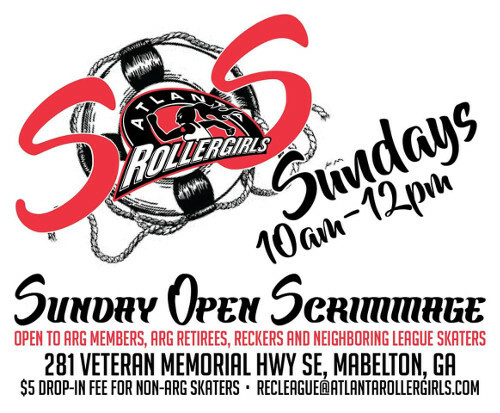 Please feel free to contact our Recker coordinators at recleague@atlantarollergirls.com or Nips of Fury: nipsoffury@atlantarollergirls.com for more information, comments, and questions.